The conventional received opinion of Adam Smith as an isolated figure, the founder of ‘modern’ economics, is thoroughly mistaken and misleading. 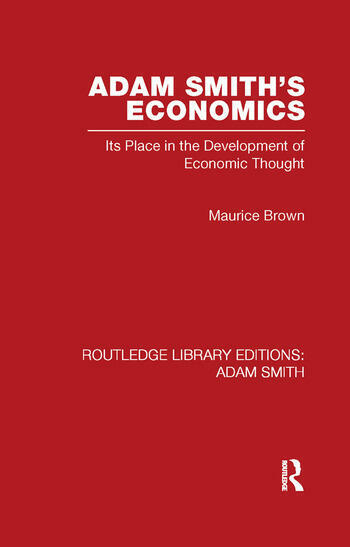 This is the central premise of this book, first published in 1988, in which the author argues that by placing Smith’s work in its historical context, we discover profound continuities between Smith’s work and that of his predecessors, and his contemporaries. The effect is to re-orientate our perception of Smith and his achievement. No longer the single-handed champion of free markets and competition whose work revolutionised and completely redirected economics. He appears instead as a brilliant contributor to a deep-rooted contemporary debate, someone who can be placed in a line of thinkers that stretches between Machiavelli and Kant.